Who likes to wait for pudding to set up? Not me! Even with instant pudding you have to refrigerate it a bit, right? 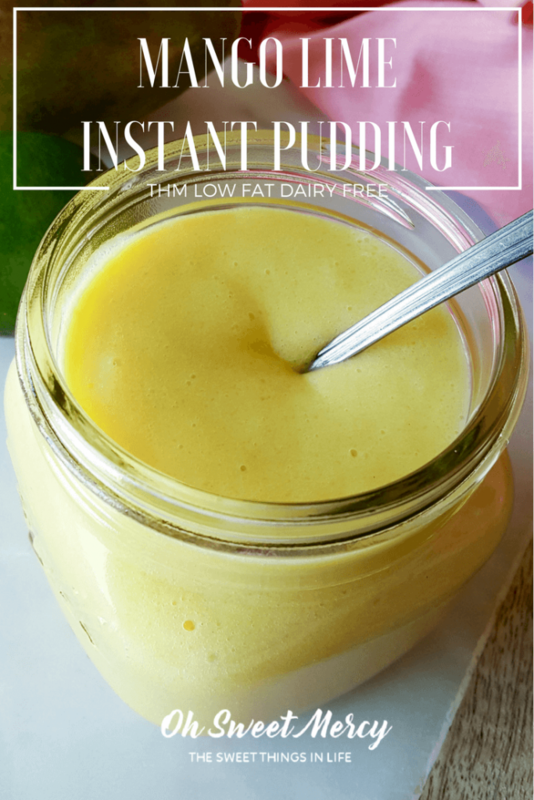 How about a creamy, dairy free, low fat Mango Lime Instant Pudding that’s ready to go right out of the blender? Yeah…that sounds more like instant pudding to me. 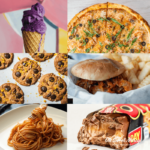 One thing about “regular” foods is that they tend to be so convenient, but at the expense of good nutrition. 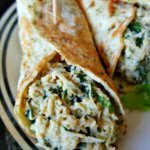 The best part of this recipe is that you don’t use any artificial colorings, flavorings, or sweeteners. Just a few simple ingredients — starting with fresh, delicious, ripe mango — is all you need. What about this glucomannan powder? 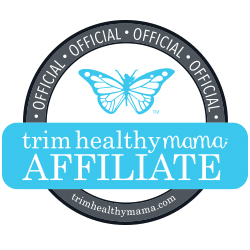 If you’re a Trim Healthy Mama follower you’ve likely heard of Gluccie, or glucomannan powder. It’s a powerful thickener made from the konjac root and has been used in Asian cultures for centuries. It’s a fiber source that soaks up water and forms a gel in your stomach. This can help you feel more full and satisfied longer which can in turn help keep you from snacking too often. Glucomannan may also help control blood sugar levels, which is important not only for overall health but also for losing weight. 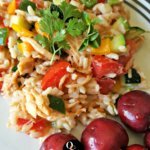 Combining Gluccie with a higher glycemic fruit can also help prevent a blood sugar spike. 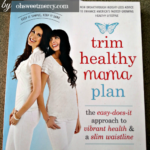 You can learn more about Gluccie in the Trim Healthy Mama plan book on pages 146-48. 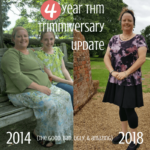 Personally, I prefer the THM brand of glucomannan powder. It seems to be more powerful than other brands I’ve tried which means I use less and it goes a lot farther. 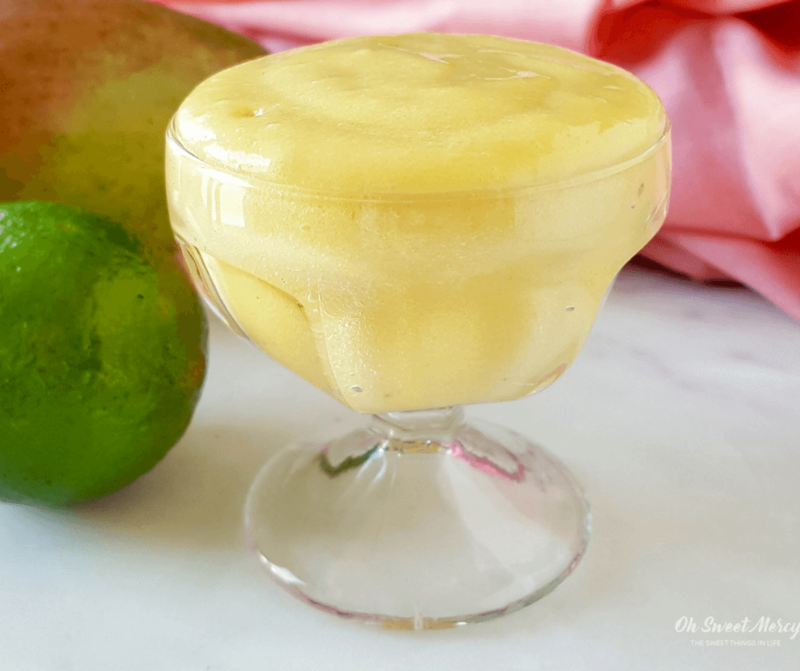 It’s great for thickening smoothies, frappes, soups, and more, so it was perfect for thickening this mango lime pudding (and part of what makes it instant). Trim Healthy Mamas, here’s how to fit this Mango Lime Instant Pudding into your healthy meal plan. Mangoes are always an E fruit, so you can enjoy this low fat pudding as a dessert after an E meal. 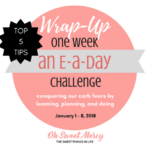 There are about 10 grams of net carbs in one cup, so remember to keep that in mind when planning your E meals to keep within the carb range. There’s also only 1.3 grams of fat but that needs to be considered as part of your overall fat for the meal. How about an E meal of Blackened Chicken with Mango and Black Beans (page 66 of the THM cookbook), steamed non starchy veggies, and a cup of this refreshing pudding for dessert? Or after a big, leafy green salad with chicken breast and half a cup of brown rice or quinoa? Keep your protein lean and the amounts of carbs and fat in the meal in an amount that will accommodate the fats and carbs in this dessert and you’ll be fine. Forget about boxed instant pudding, pull out that blender and let’s get started! A creamy, low fat, dairy free pudding that's ready right out of the blender. Trim Healthy Mama friendly, perfect for an E meal dessert. Be sure to pin this refreshing Mango Lime Instant Pudding recipe to your favorite Pinterest boards! I don’t know if I have ever seen cashew milk, but I will now look for it. Until then, can I use almond milk? Hi Kathy, yes almond milk should work fine. I like cashew milk because it’s a bit creamier!